It's a suspense story that seems to have walked straight off the pages of a mystery novel. AURORA, Colo. -- It's a suspense story that seems to have walked straight off the pages of a mystery novel. 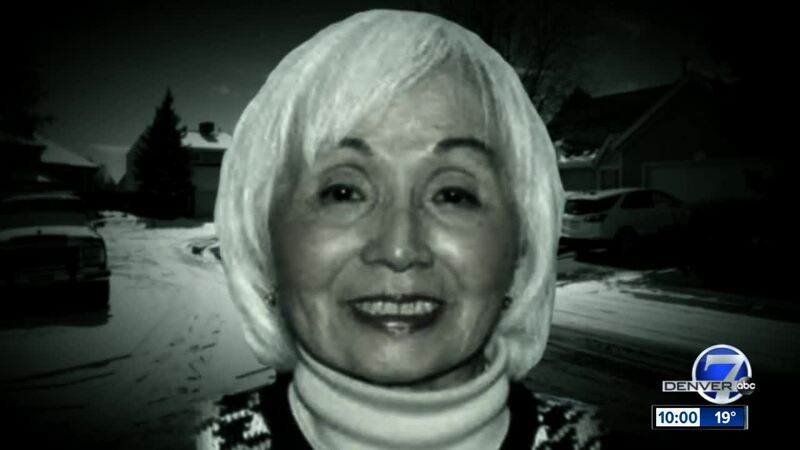 Kyo Miller, 87, of Aurora has vanished, seemingly without a trace, and police are tight-lipped about her disappearance. And the mystery seems to deepen the more we learn about it. "It just kind of seems odd," said one neighbor who spoke to Denver7 but did not want to be identified. First, Miller was reported missing on Dec. 15, but police only informed the public this Thursday , 55 days after that report. "Things that (investigators) learned have indicated that her disappearance may be suspicious in nature," said Anthony Camacho, spokesman for the Aurora Police Department. Second, neighbors say even though she was reported missing Dec. 15, she's been gone a lot longer. "They haven't seen her in over a year," a neighbor said of Miller’s closer neighbors. Third, both police and neighbors say Miller's living situation was unusual. 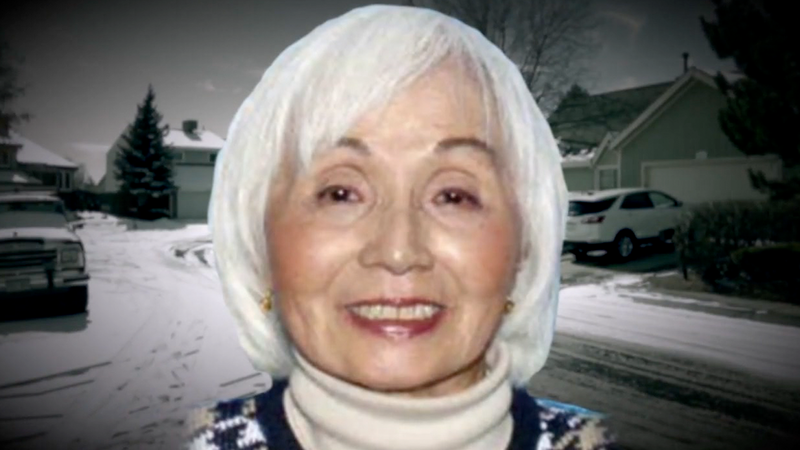 "She was last known to be living with her ex-husband Eldred Miller, 72-years-old, and his current wife Galyna Miller, 53-years-old," Camacho said. Fourth, neighbors say within the past few months, the home was remodeled. "Putting new carpet, doing remodeling and putting in new landscaping and stuff like that," a neighbor said. None of the neighbors we talked to wanted to be identified. And finally, police won't say they searched the house, but neighbors say they did. "The police were coming out with boxes and different things," said a witness. "And there was an elderly couple, very elderly couple, standing over here on the lawn in handcuffs." But, police say, they’ve made no arrests. And now, there are at least three security cameras mounted to the house – one on the doorbell, one above the front door and one above the garage. The cameras beg the question: Are they new? Or did they capture Kyo's disappearance? There are more questions than answers at this point. Police are asking anyone with any information to call Agent Szuch at (303) 739-6068. You can also call Metro Denver Crime Stoppers at 720-913-7867 where your tip is anonymous and may make you eligible for a reward for up to $2,000.